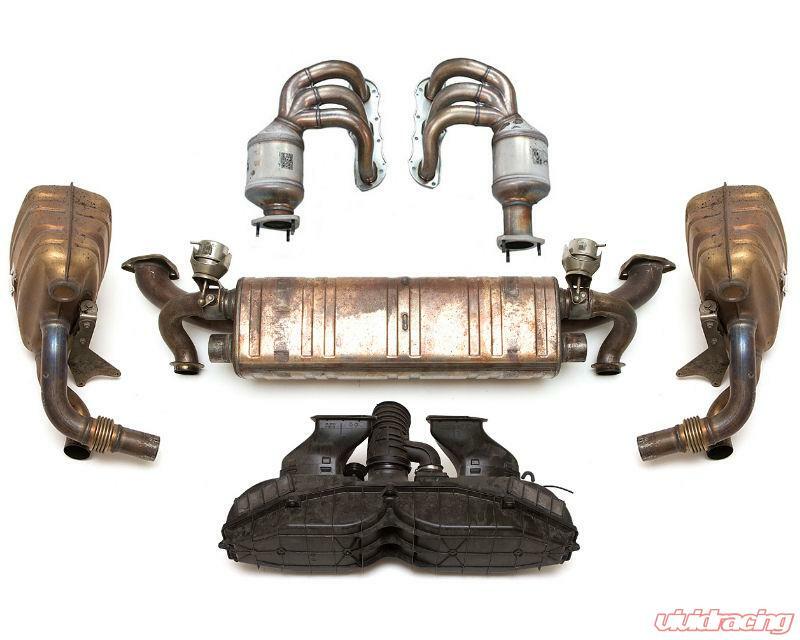 Fabspeed's Performance Package for the 991 Carrera vehicles saves 11.45+ pounds from the vehicle and improves exhaust flow and power by replacing the factory headers, center muffler, side mufflers, and air box. Fabspeed's 991 Carrera Performance Package replaces the restrictive OEM side mufflers and center muffler for a deeper, throatier exhaust note and improved power and throttle response. The included Sport Headers replace the restrictive factory headers and cats with high-flowing performance headers and 200-cell HJS Sportcats. Lastly, the restrictive factory airbox is replaced by Fabspeed's Carbon Fiber Competition Intake System which increases the cold air flow into the engine for better power and sound. 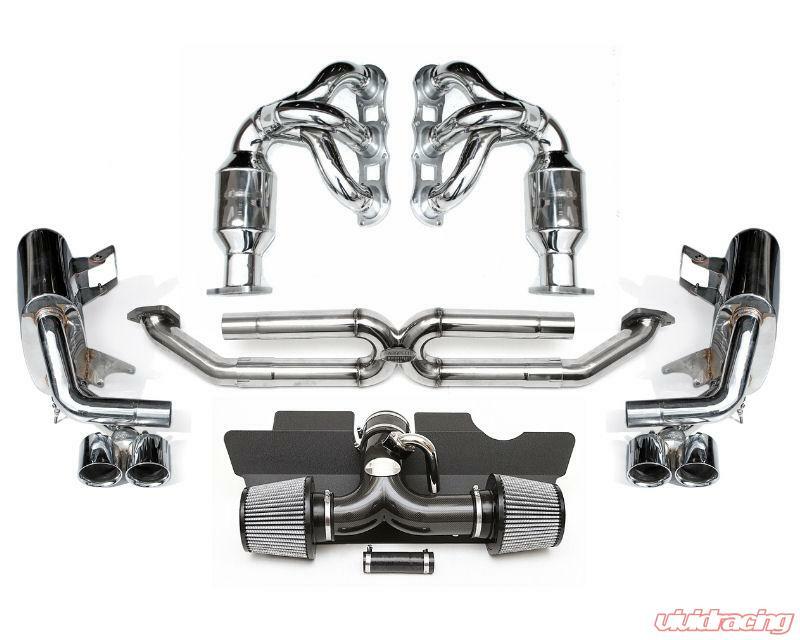 This is a complete high performance exhaust and intake package that includes Maxflo Performance Side Exhaust, Center Muffler Bypass X-Pipe, Sport Headers, Competition Intake, and Deluxe Quad-Style Tips. For vehicles equipped with Porsche Sport Exhaust (PSE), this product replaces the factory center muffler PSE system. As such, the "exhaust sound option button" will no longer be functional.